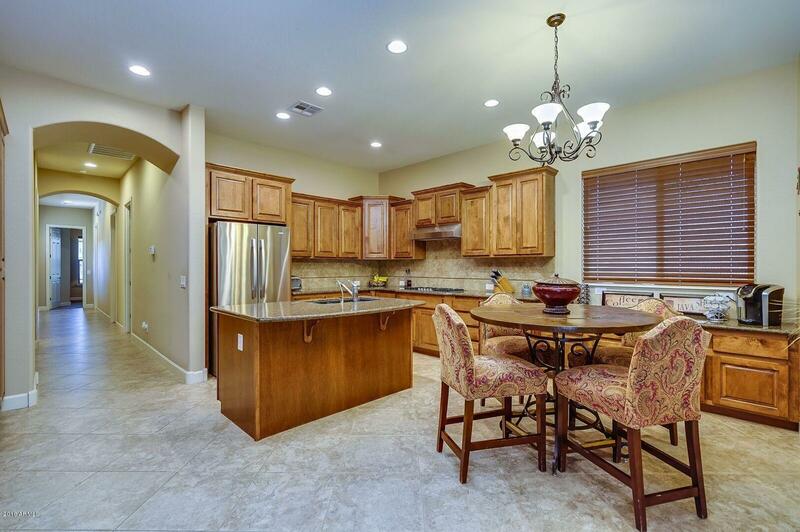 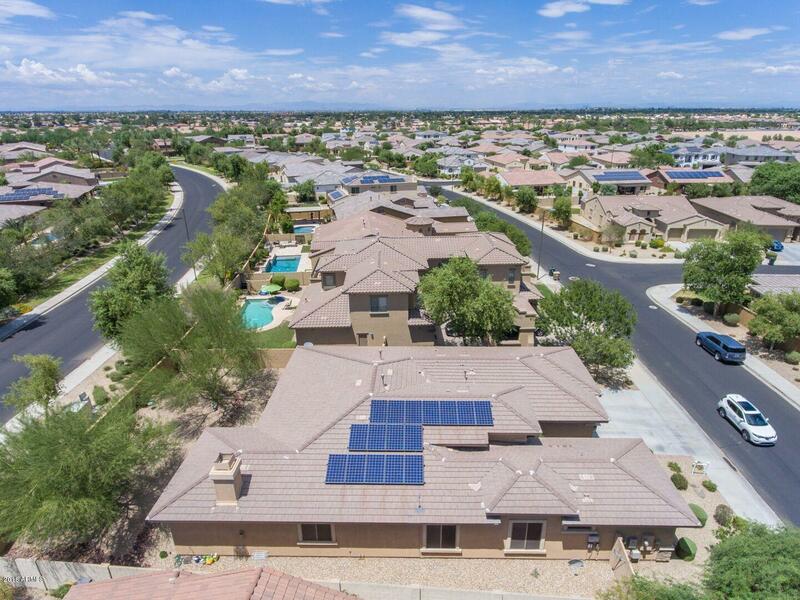 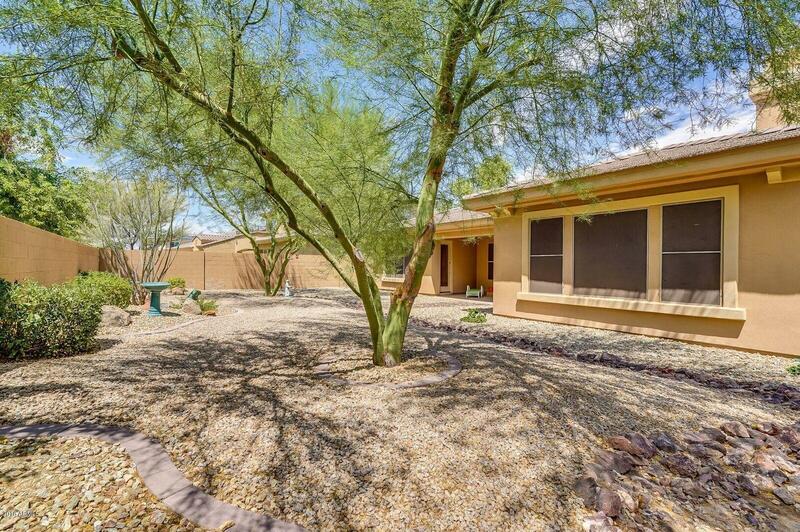 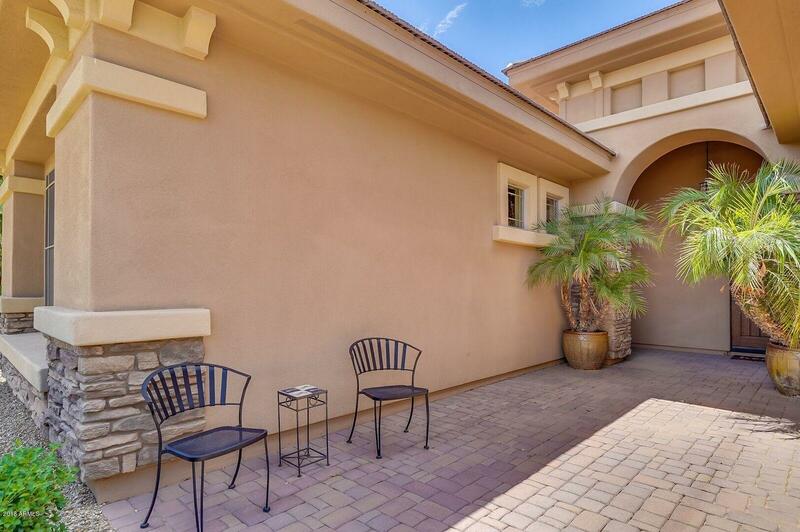 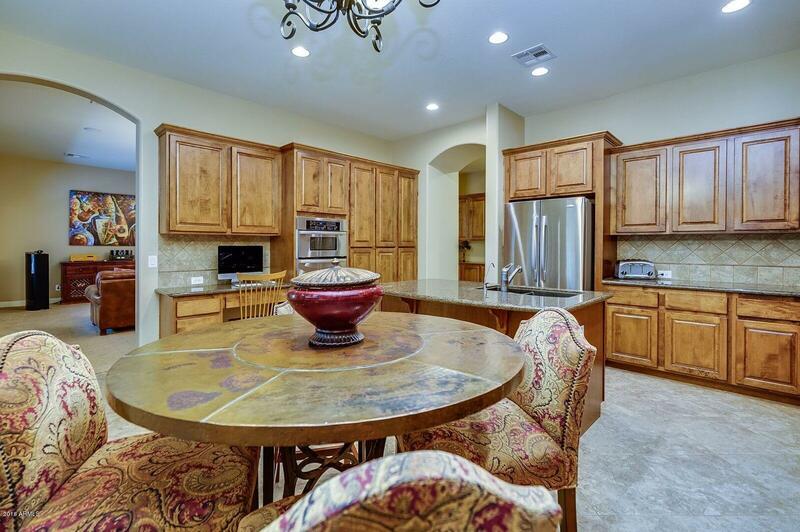 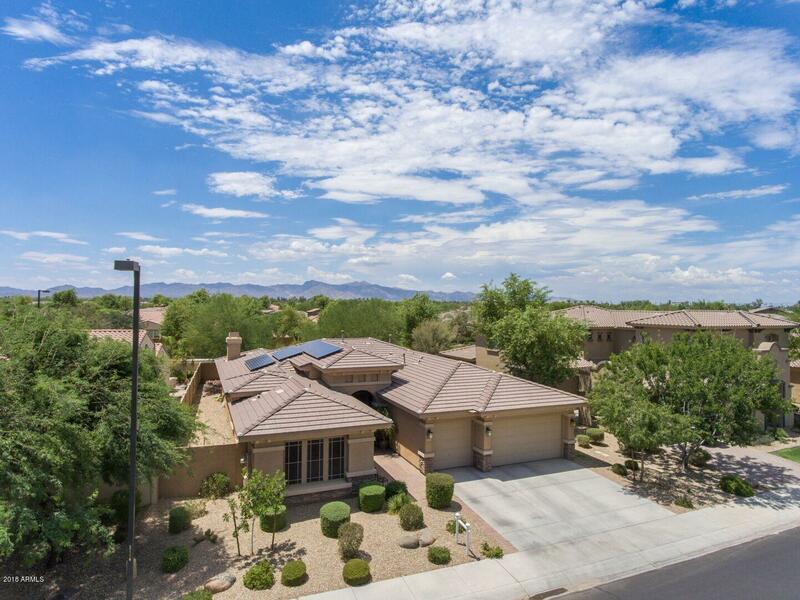 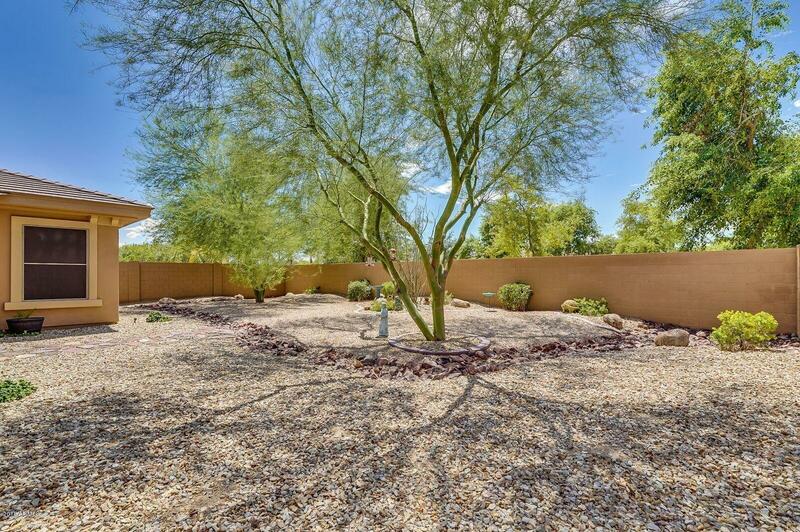 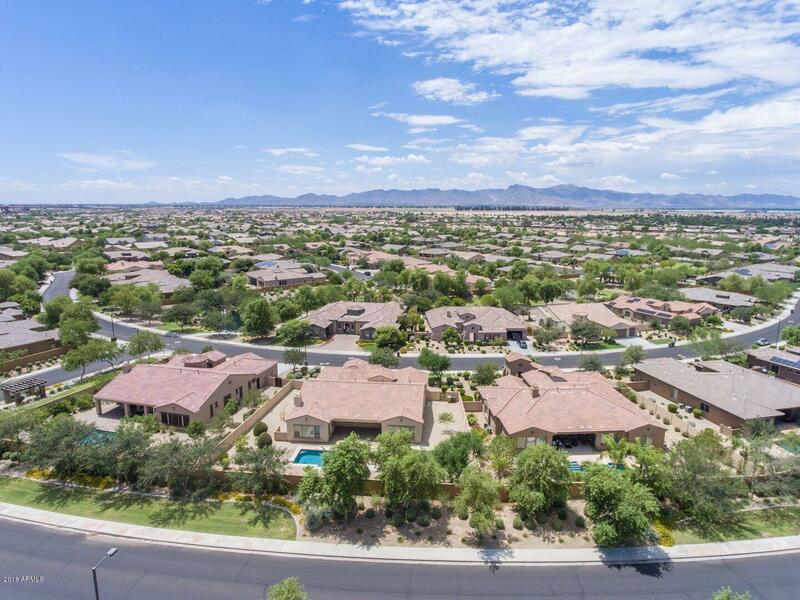 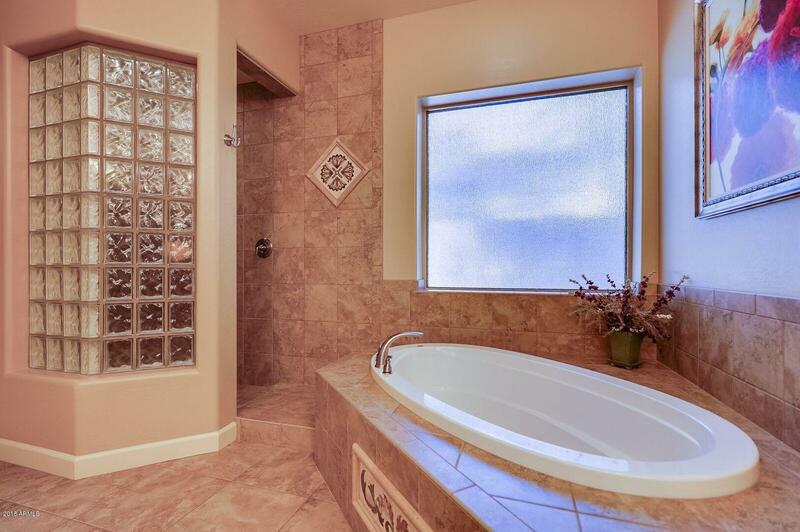 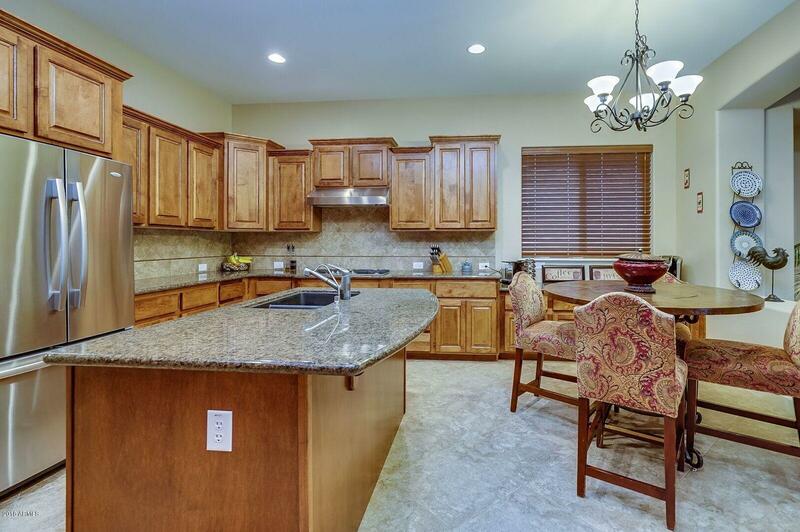 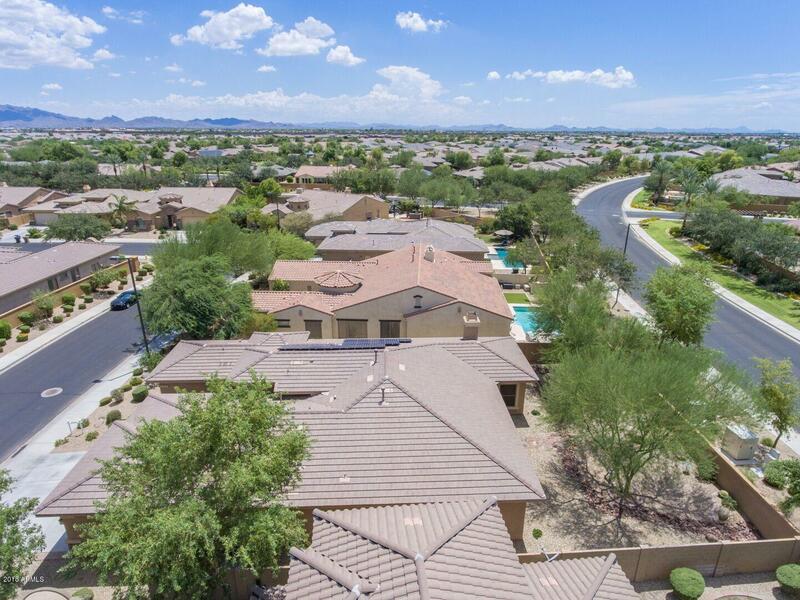 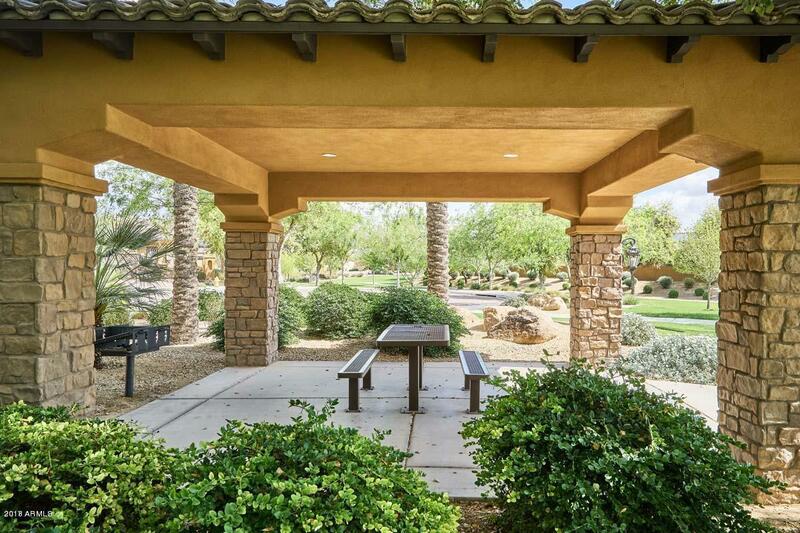 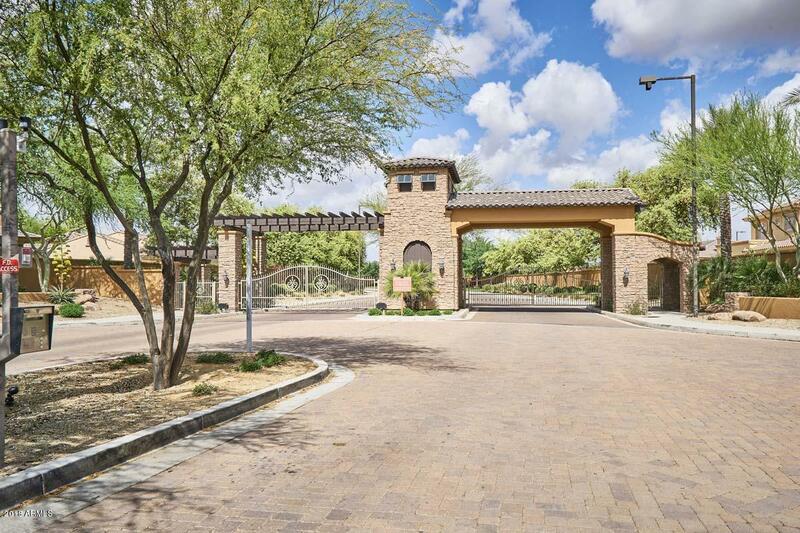 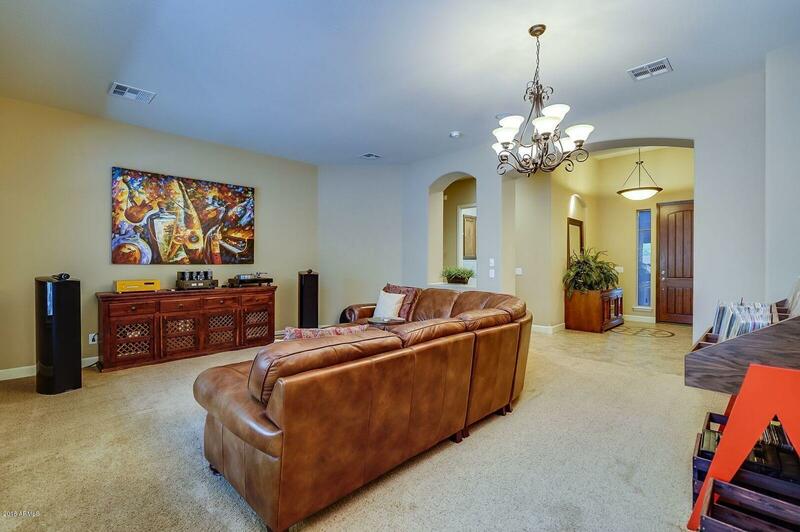 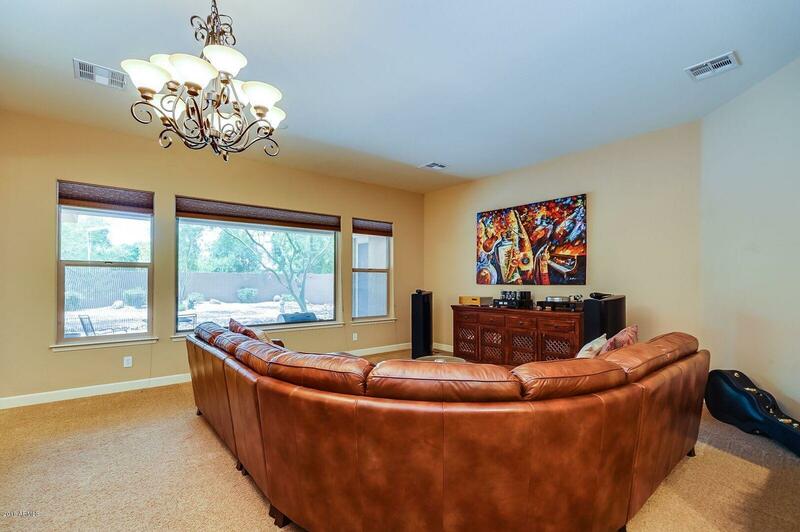 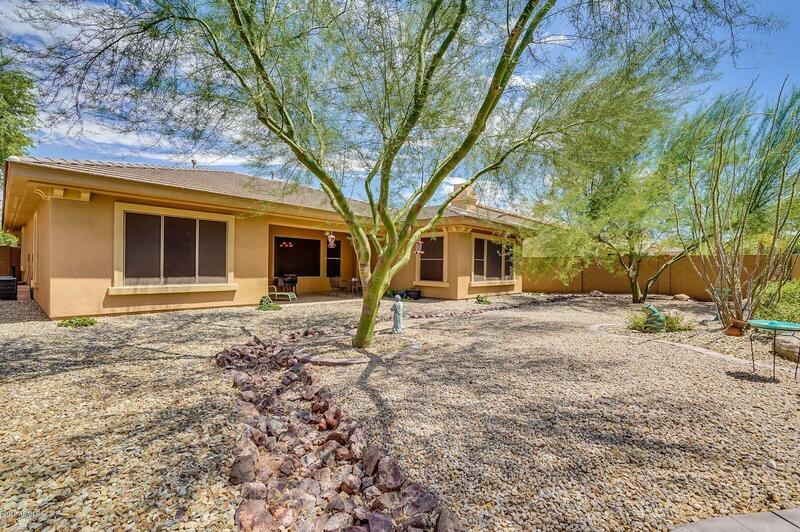 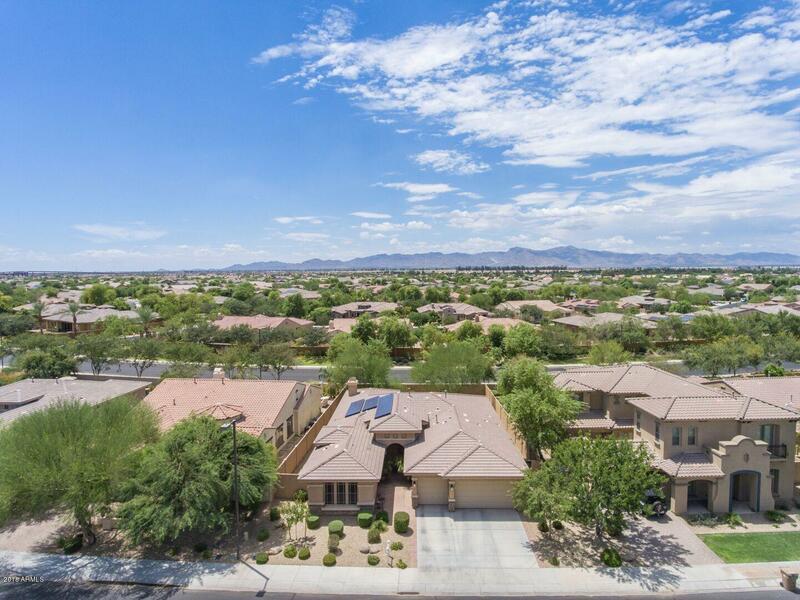 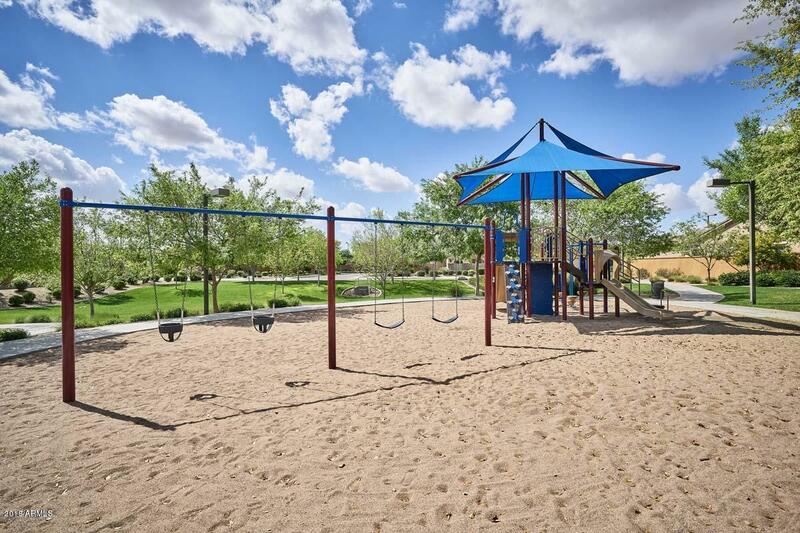 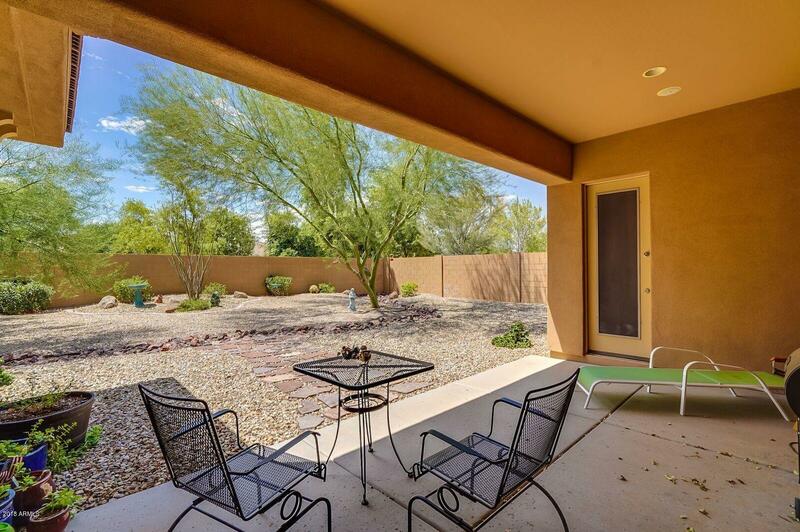 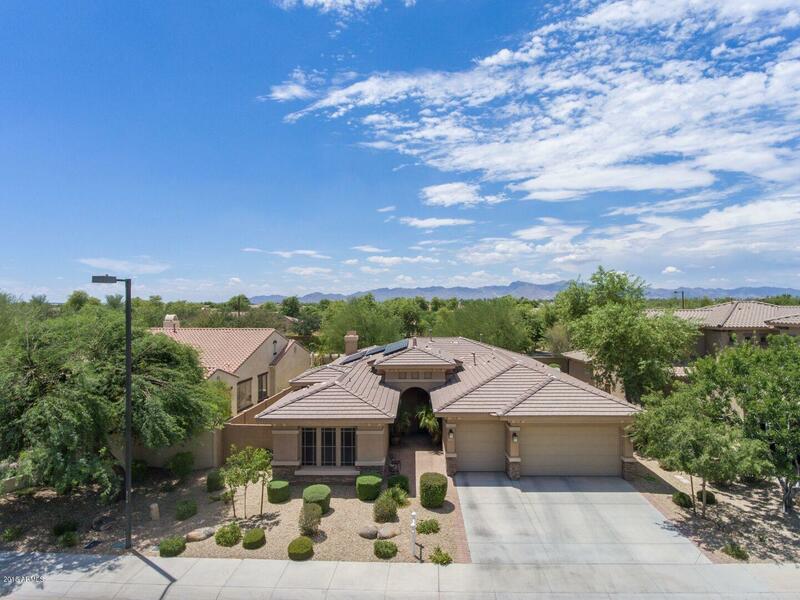 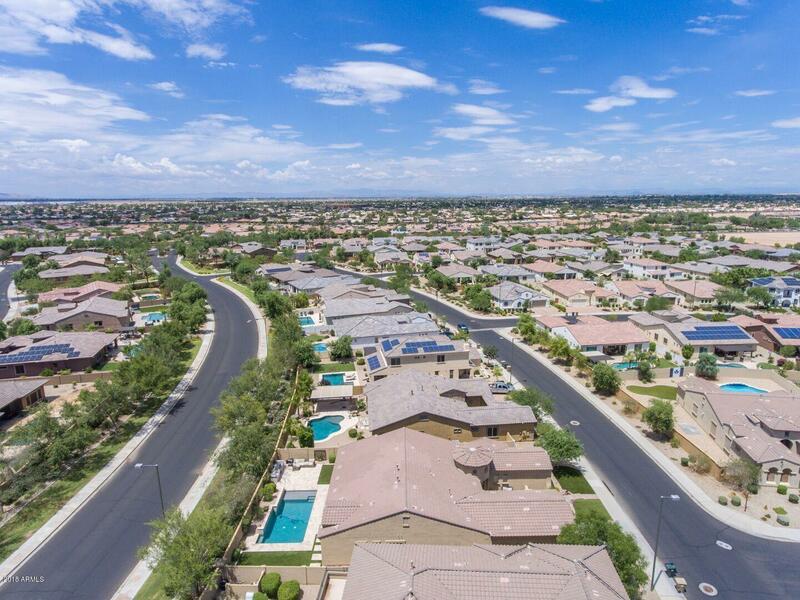 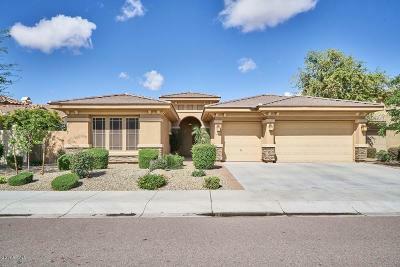 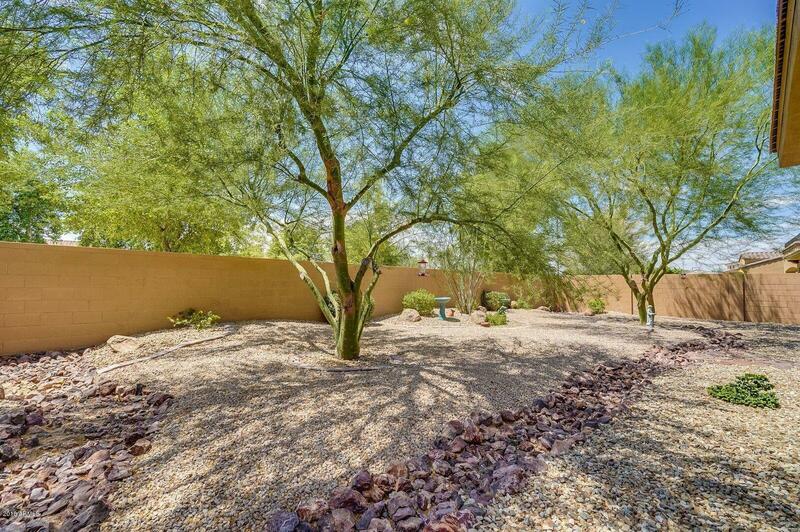 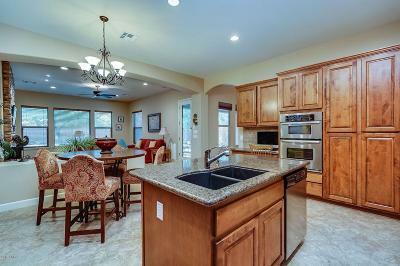 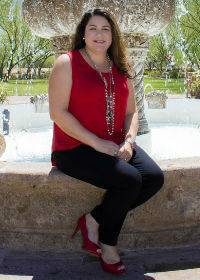 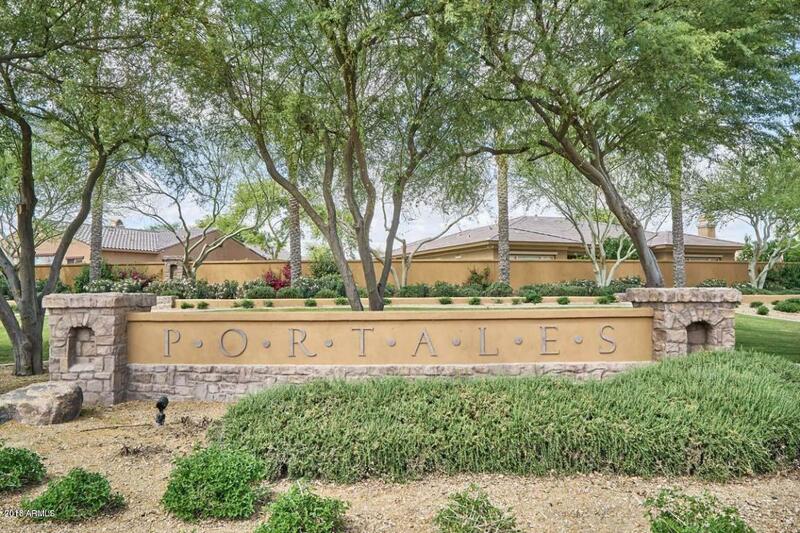 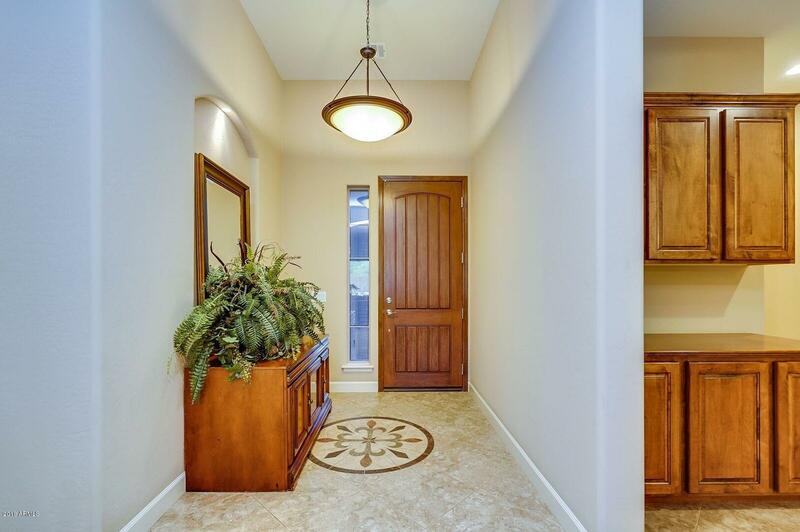 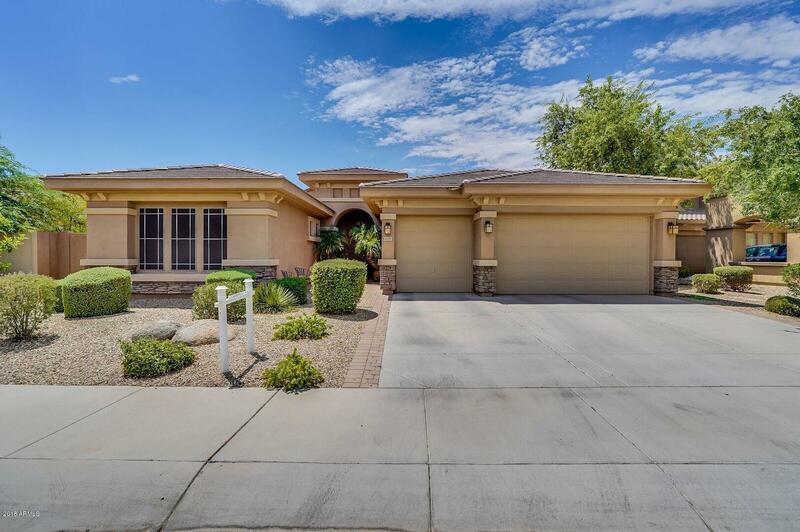 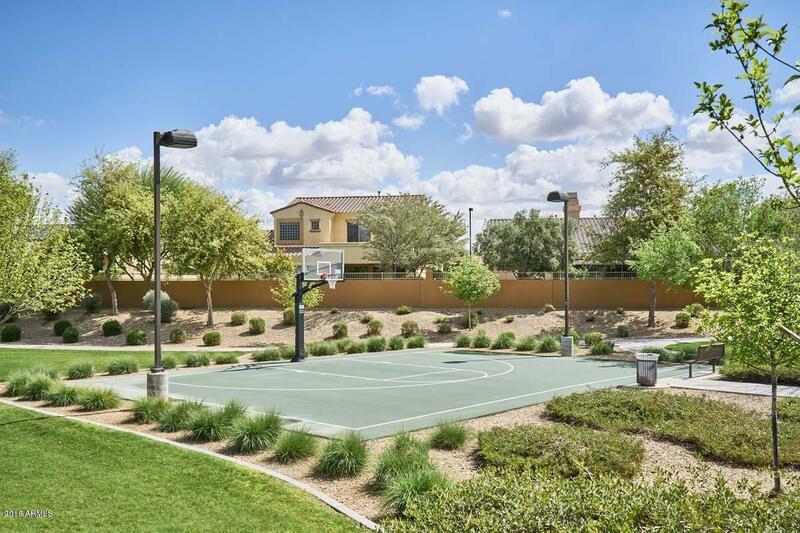 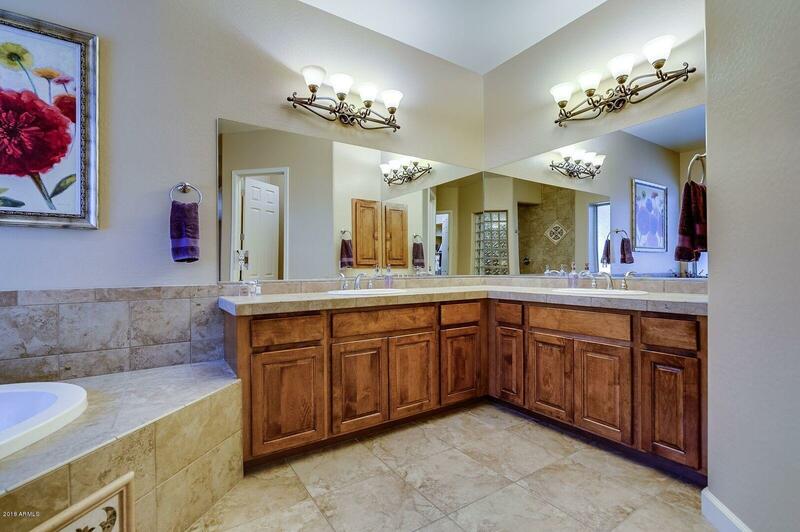 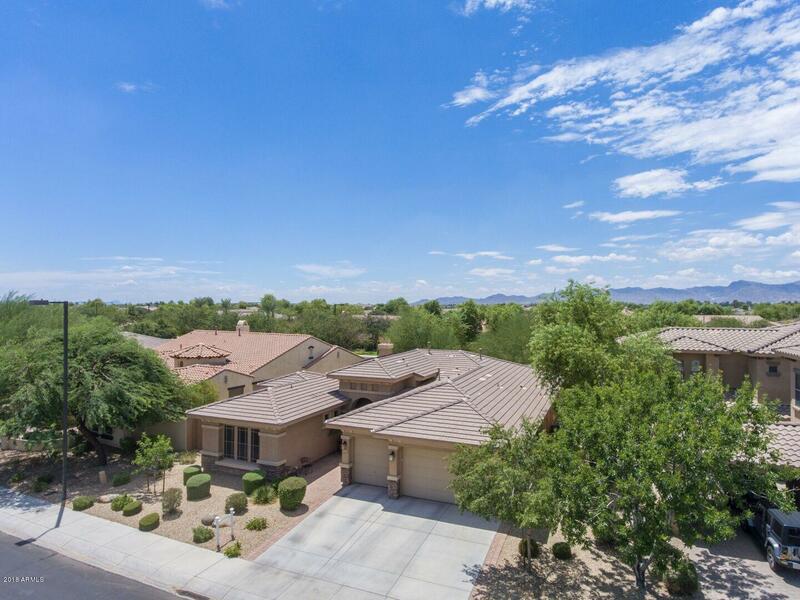 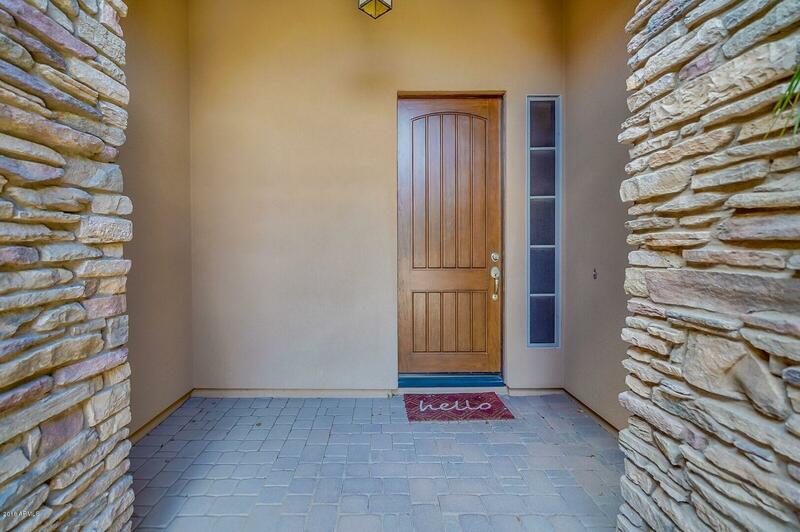 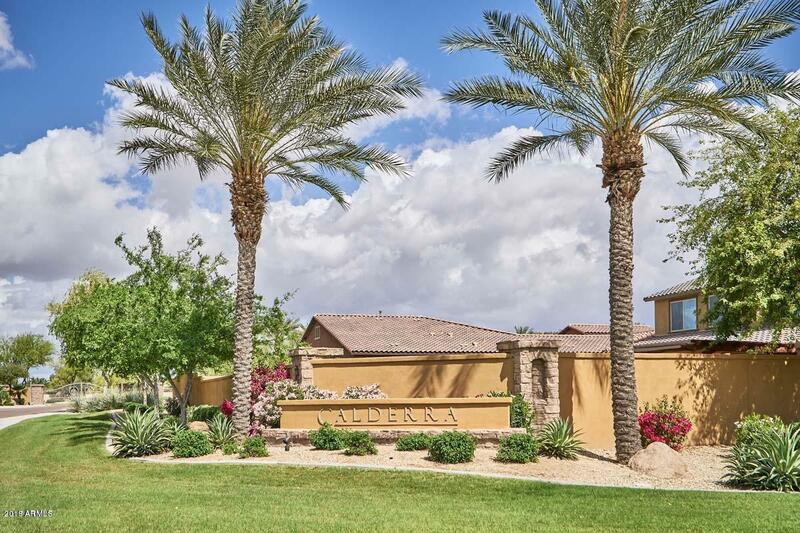 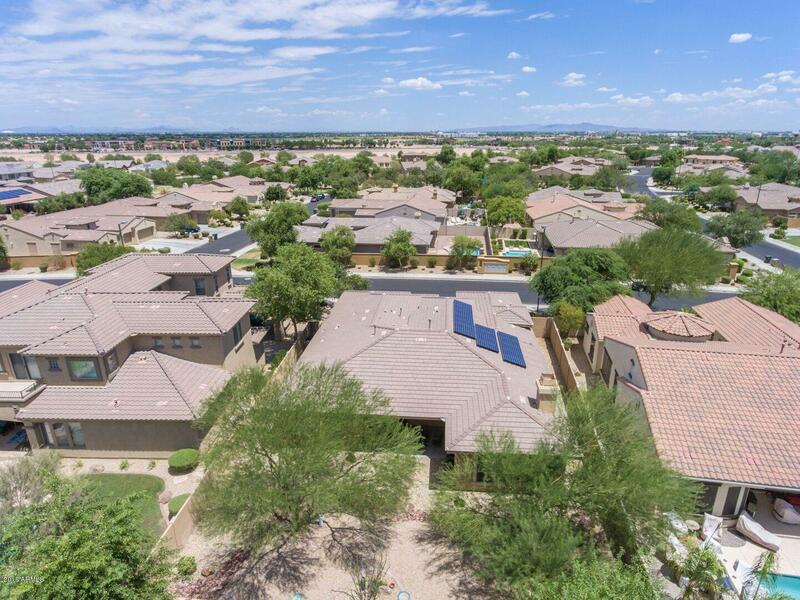 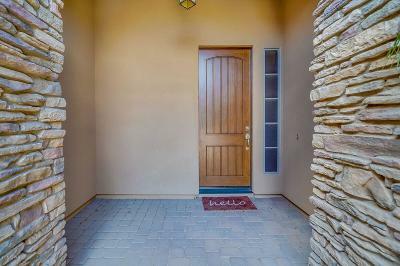 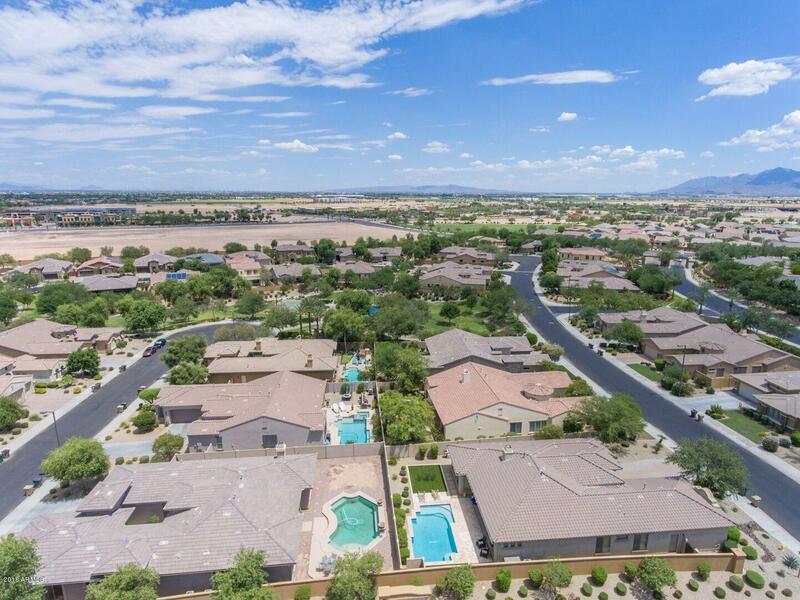 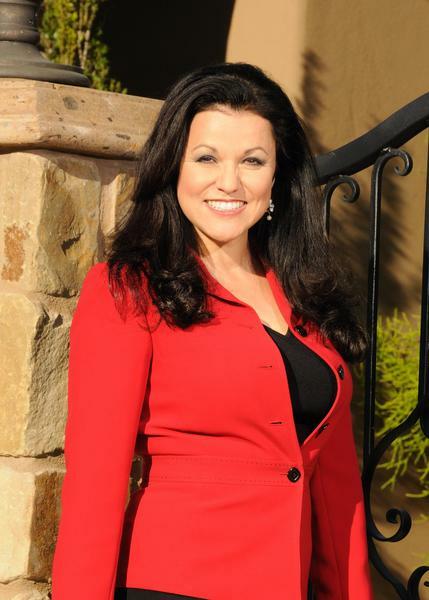 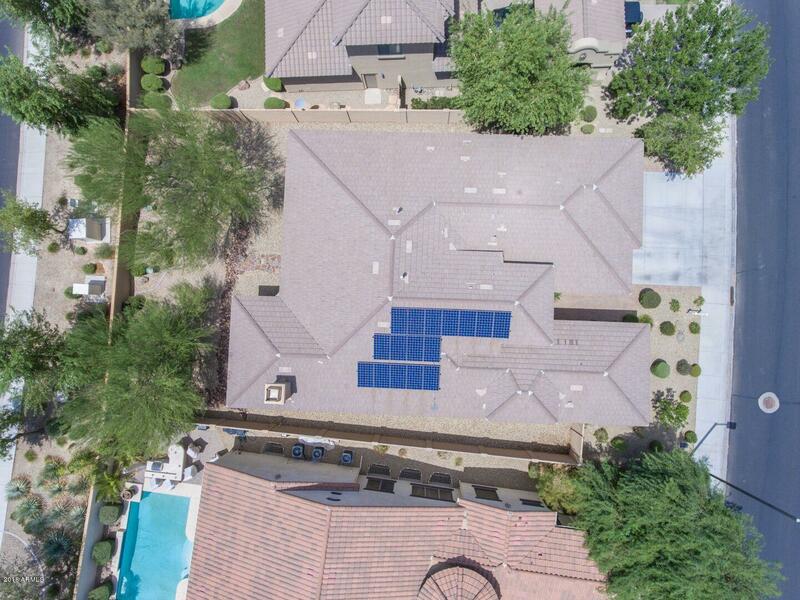 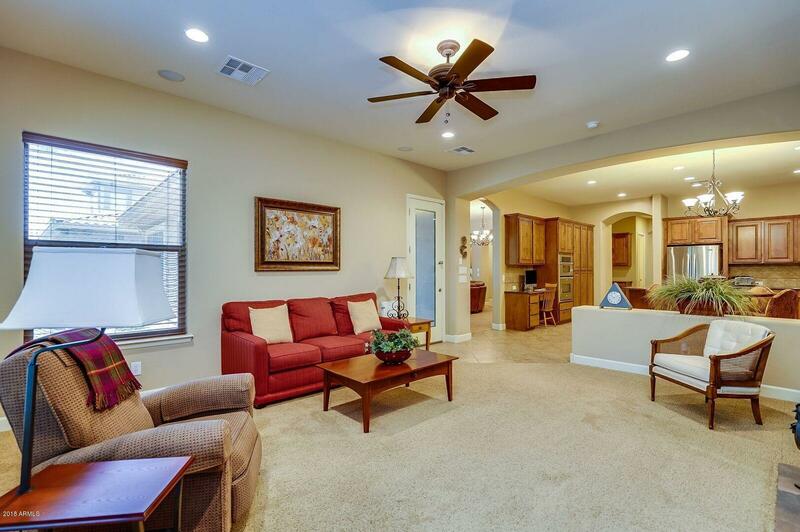 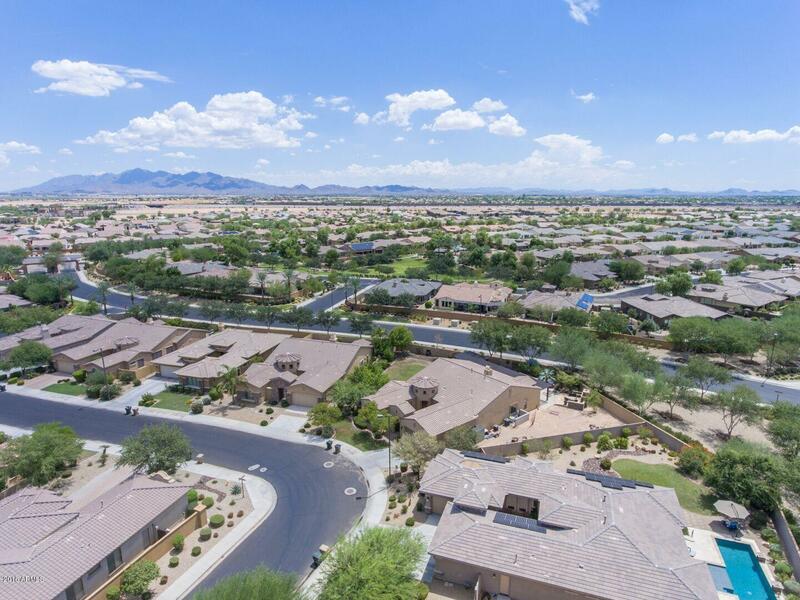 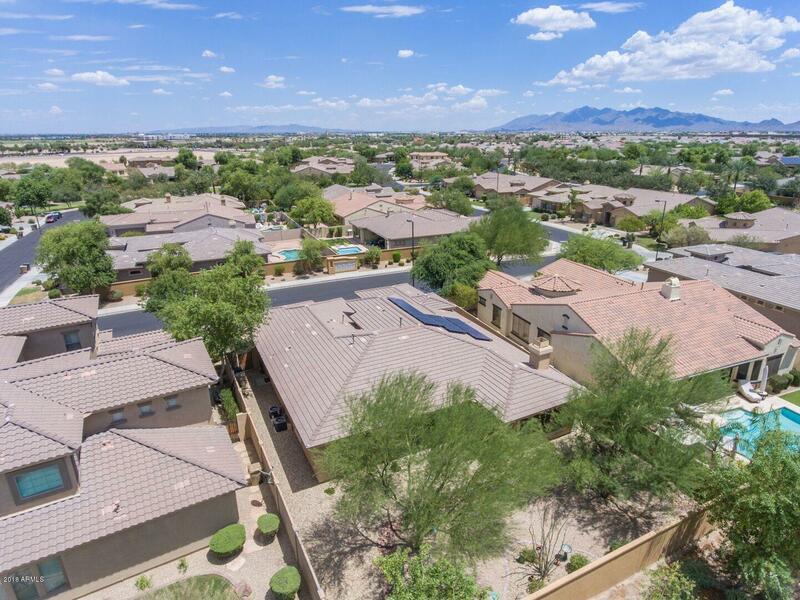 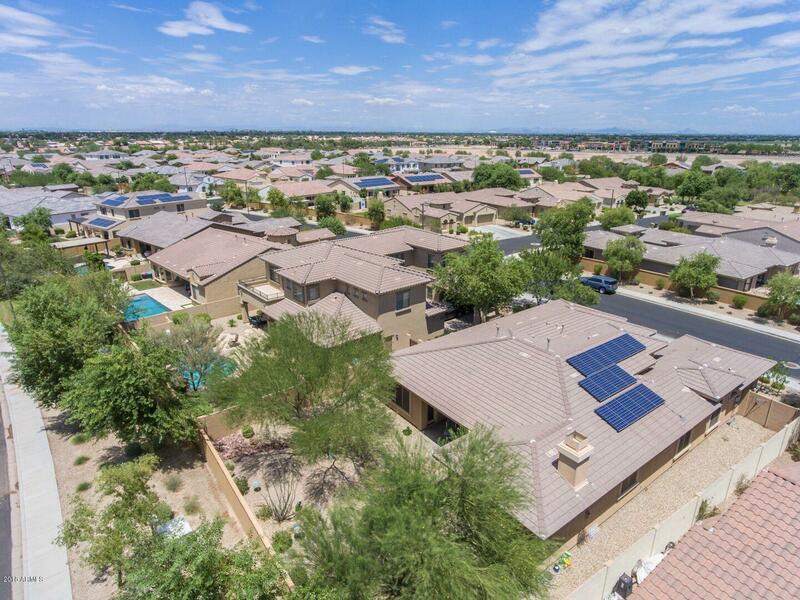 Seize the opportunity to own this incredible TW Lewis single level home in the Portales a gated section of Palm Valley. 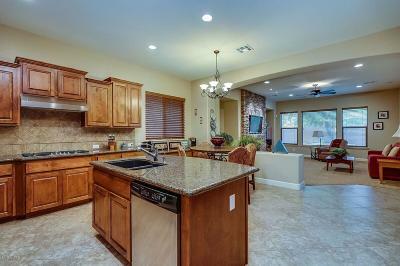 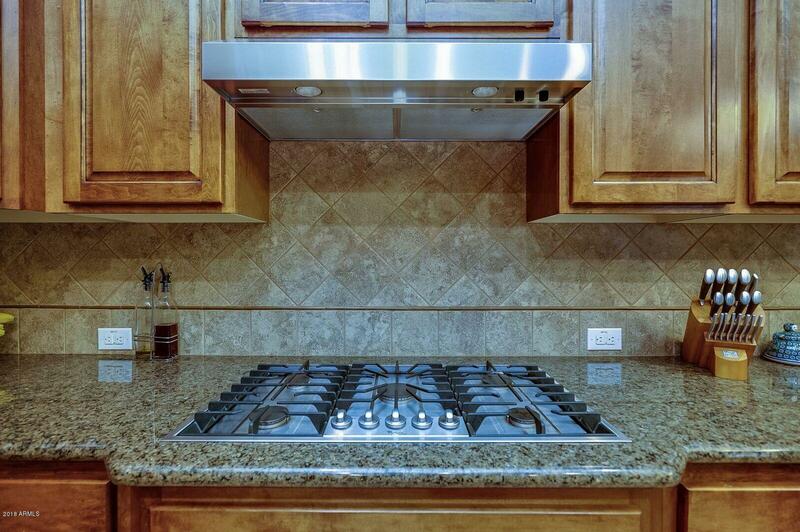 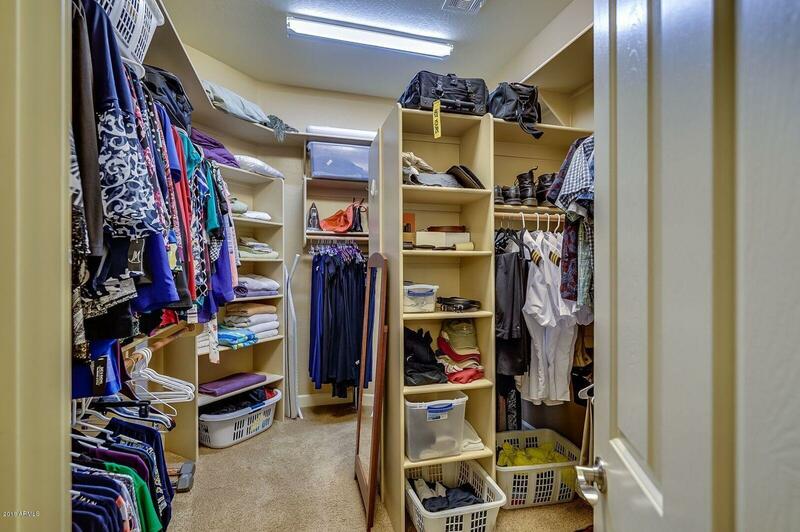 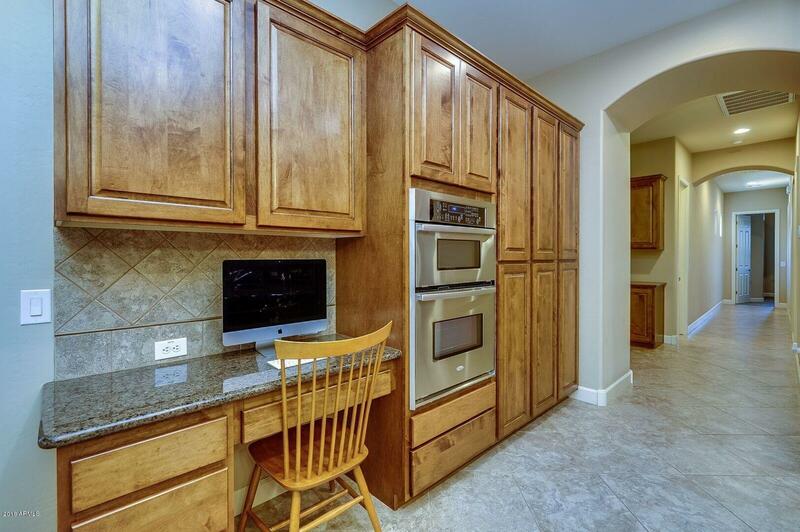 This lovely home has 4 bedrooms, 2.5 bathrooms, a formal living & dining area, spacious gourmet kitchen w/ stainless steel appliances, 5 burner gas cook top, wall oven/microwave, R/O system, beautiful cabinets and lots of space & pull out drawers. 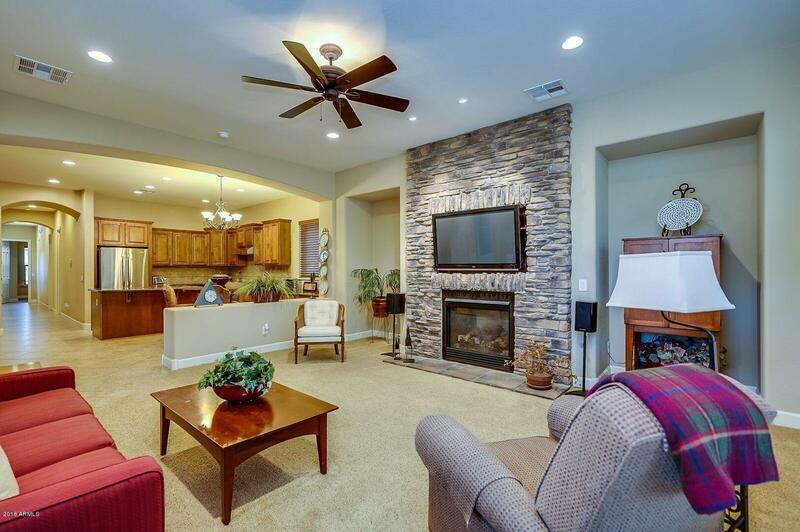 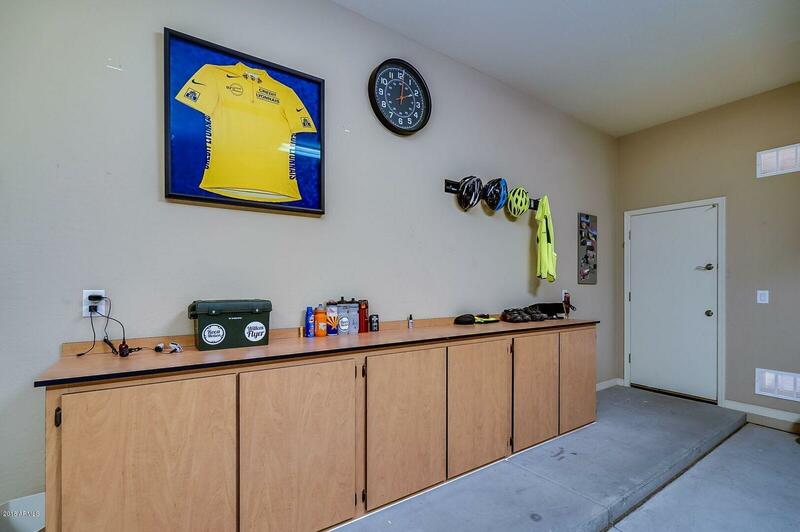 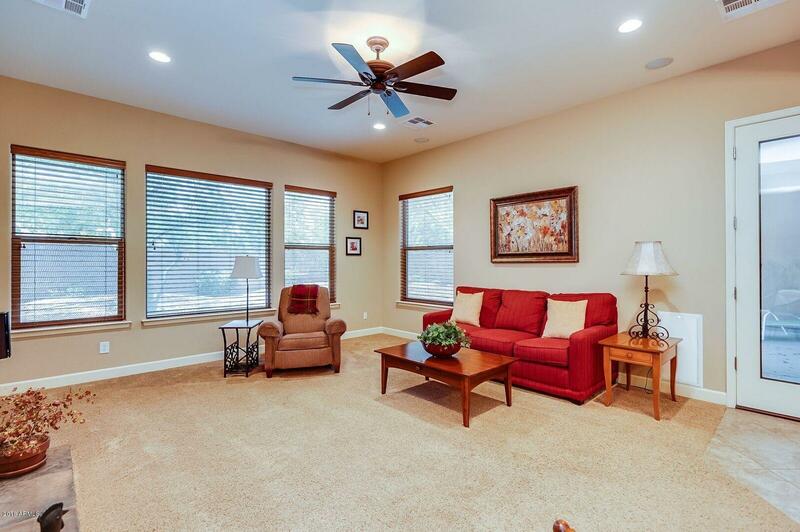 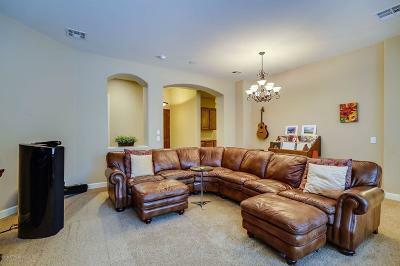 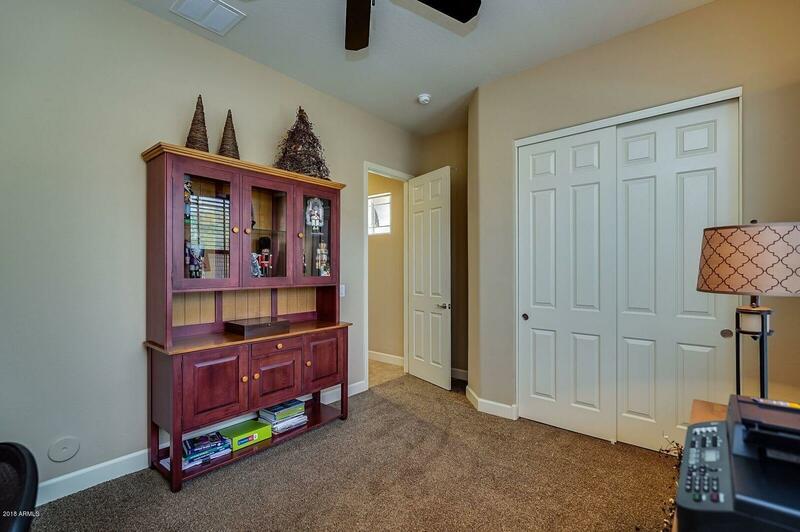 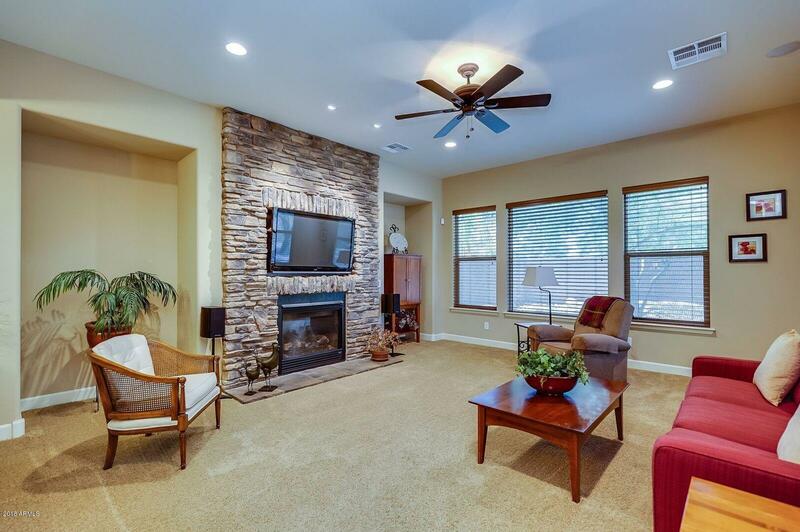 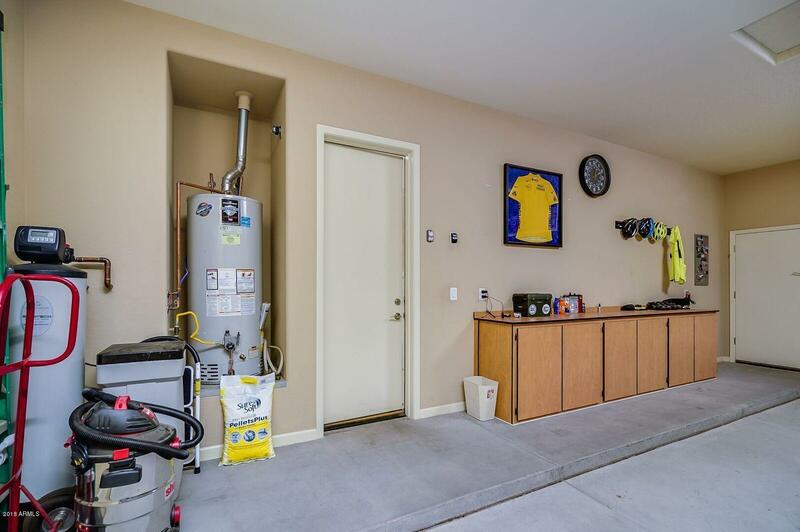 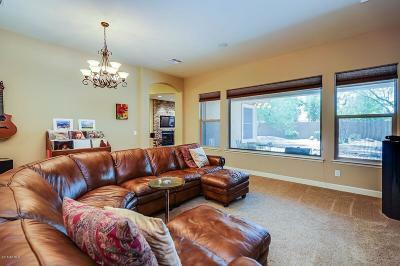 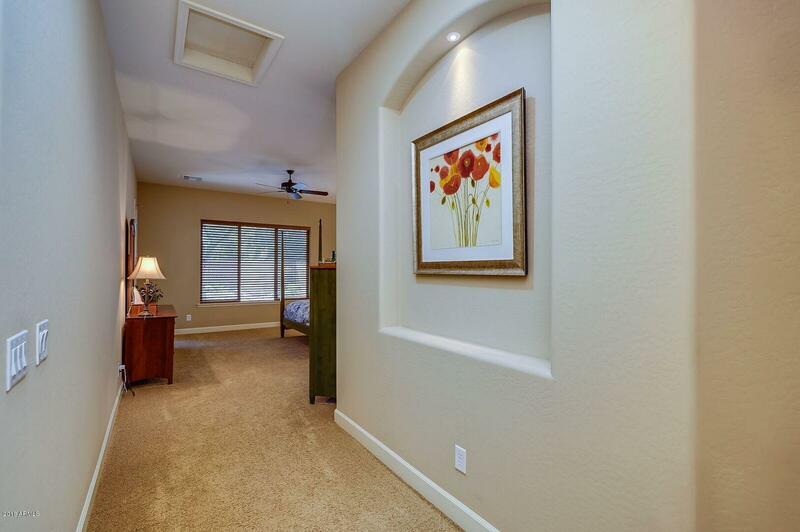 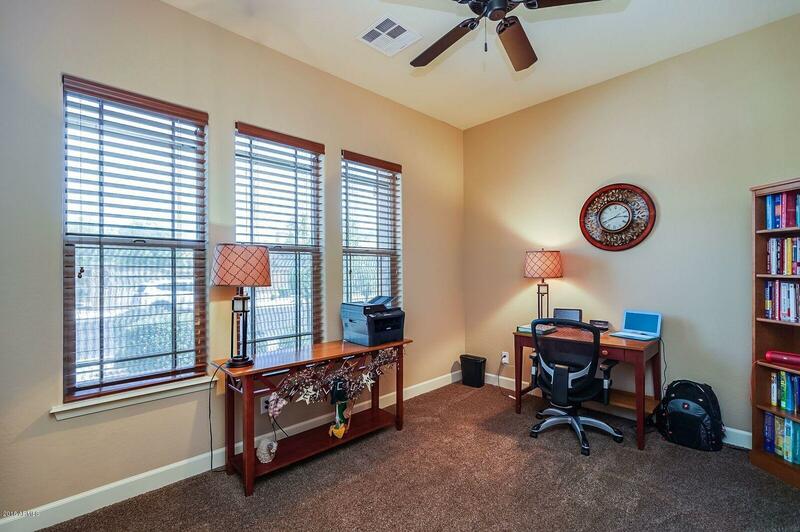 Family room w/ stone fireplace, french door leading to covered patio and backyard. 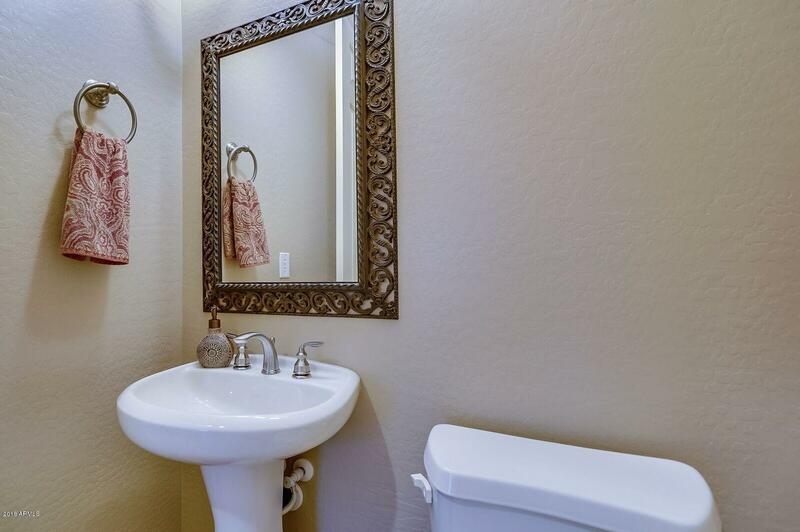 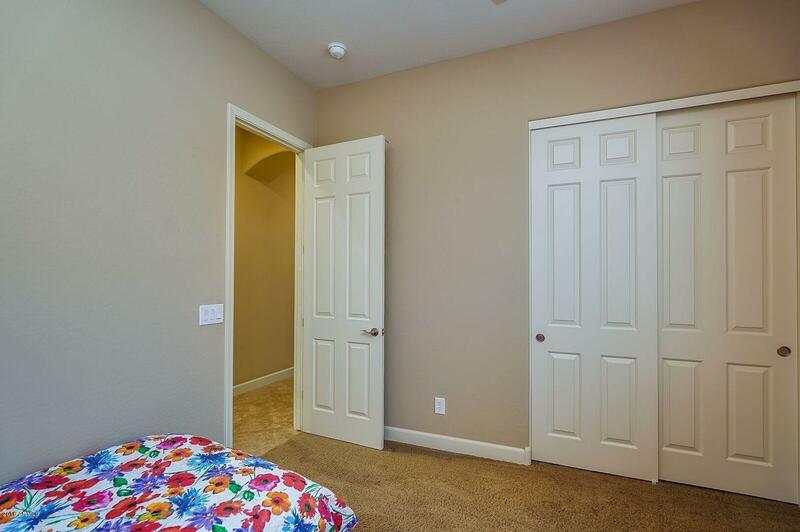 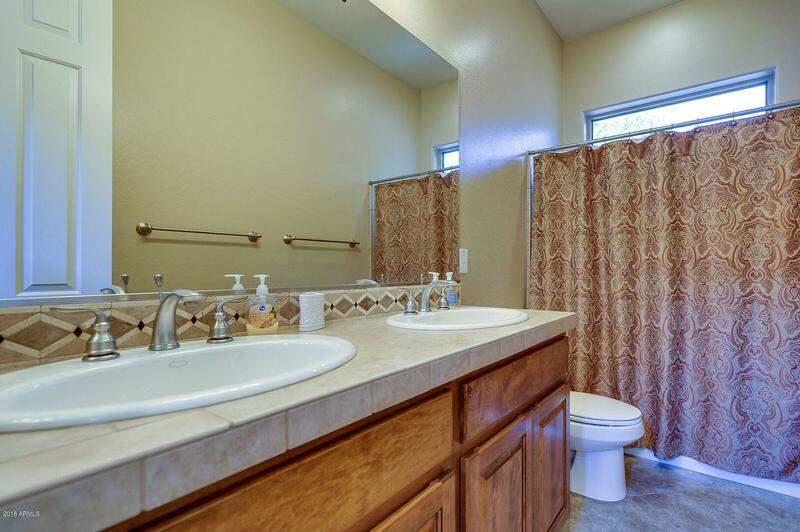 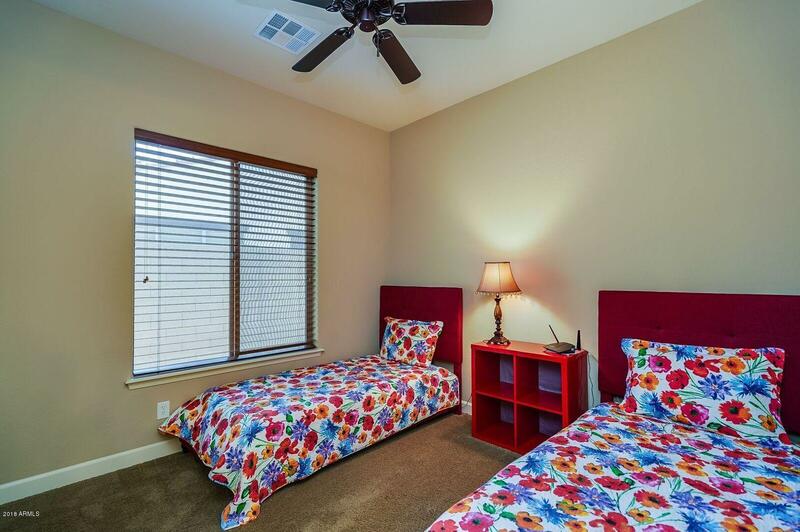 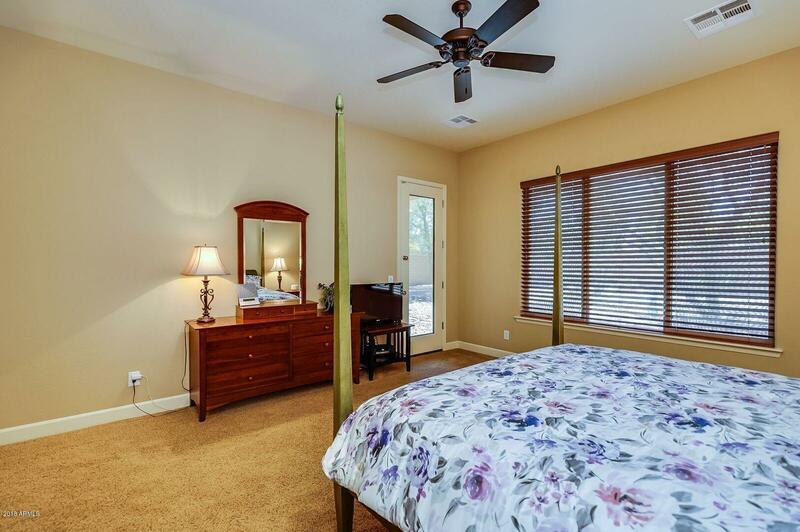 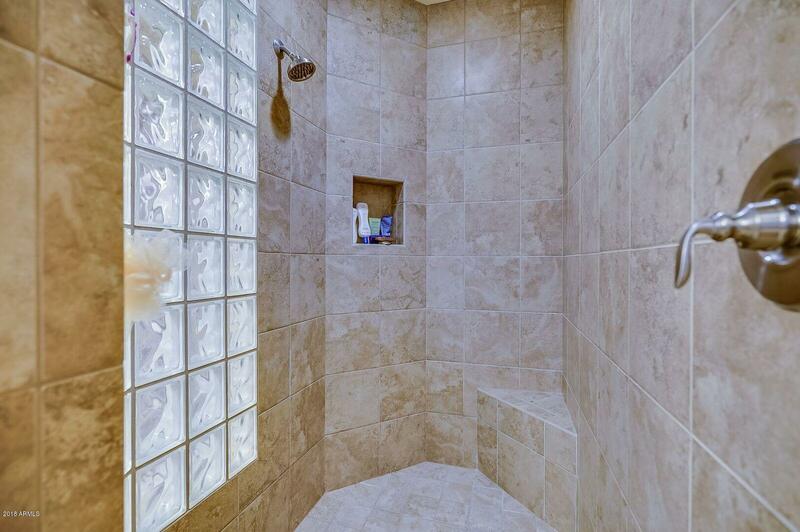 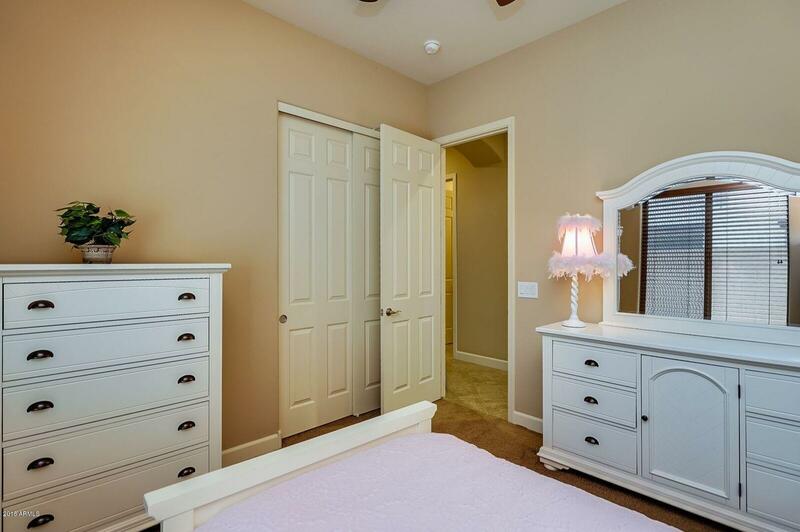 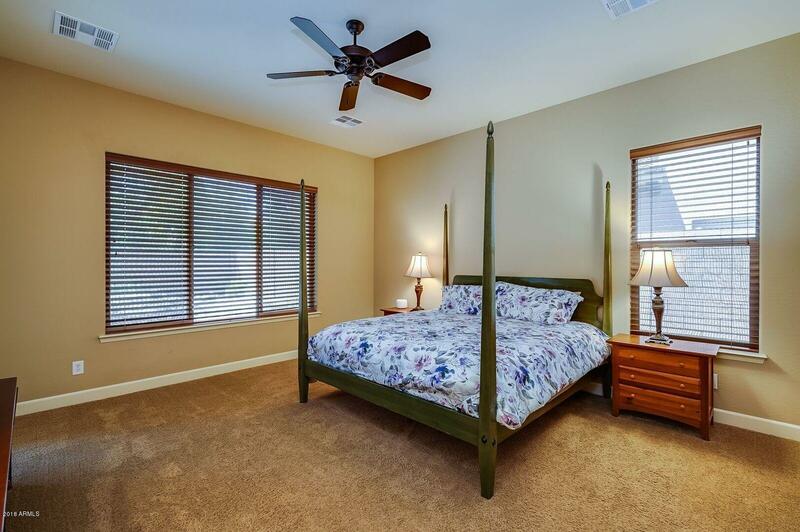 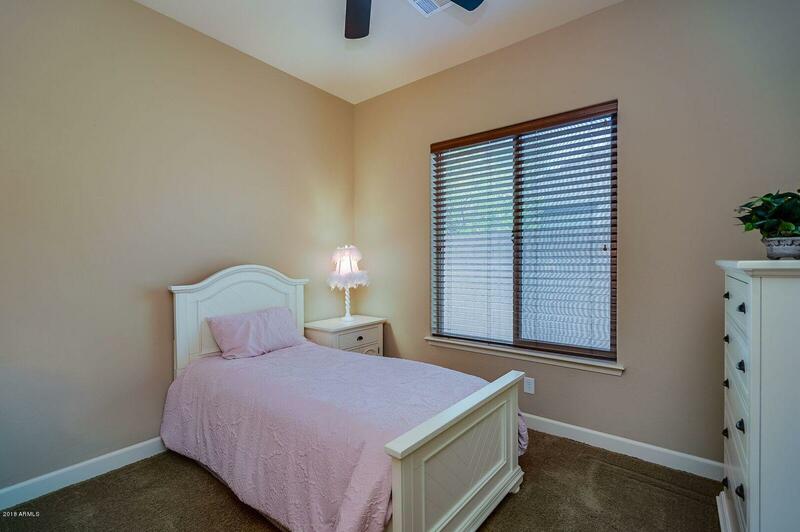 Split Master bedroom with spa like bathroom with large snail tiled shower, extra large garden tub, dual sinks with tiled counter tops, and master closet is huge. 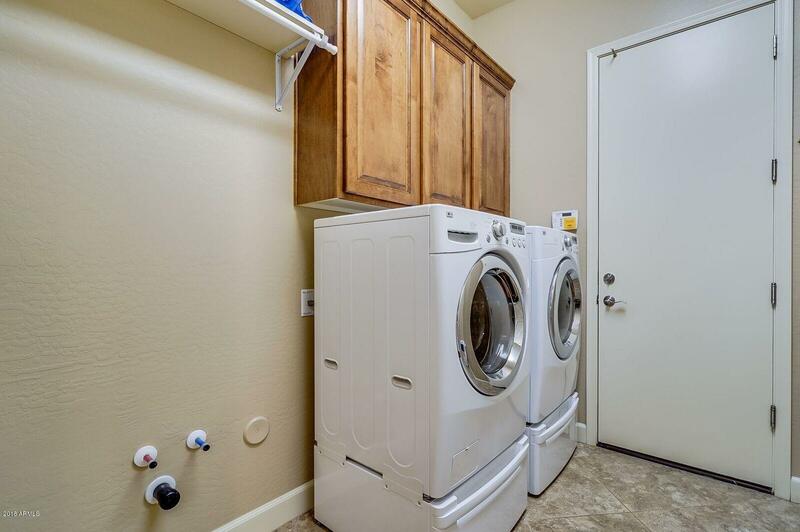 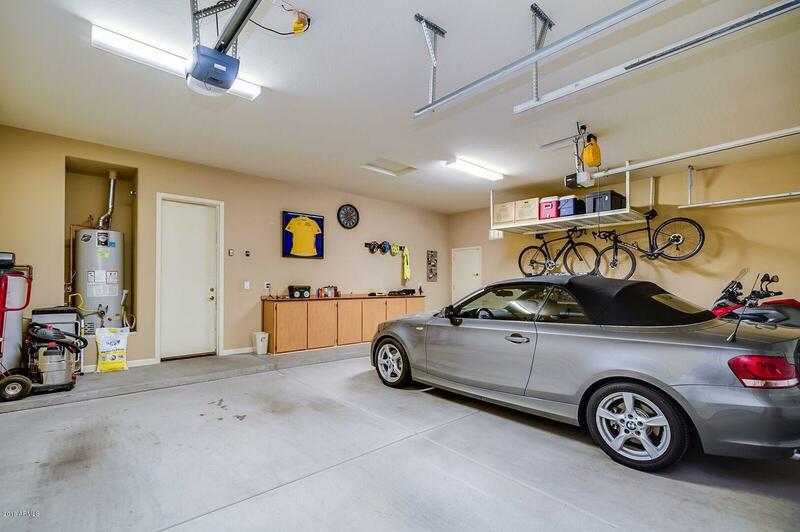 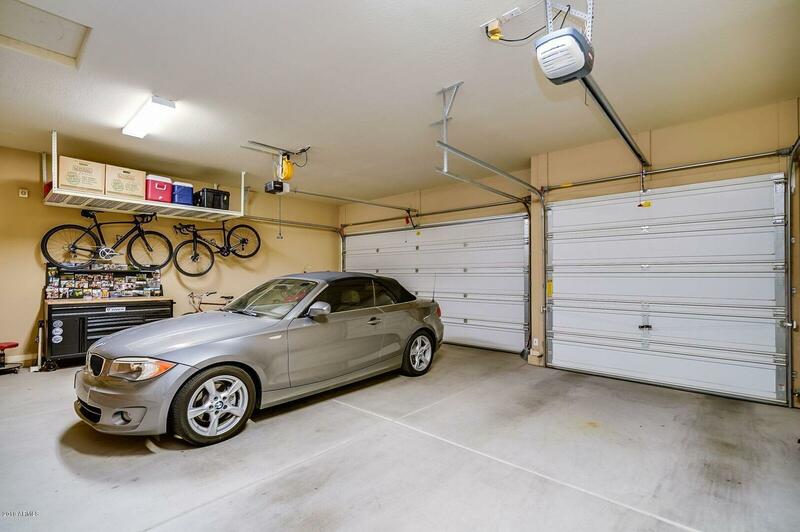 Extra features include ceiling fans, surround sound in family/living room, tile in all the right places, 3 car garage w/ over height doors & 4 ft extension.